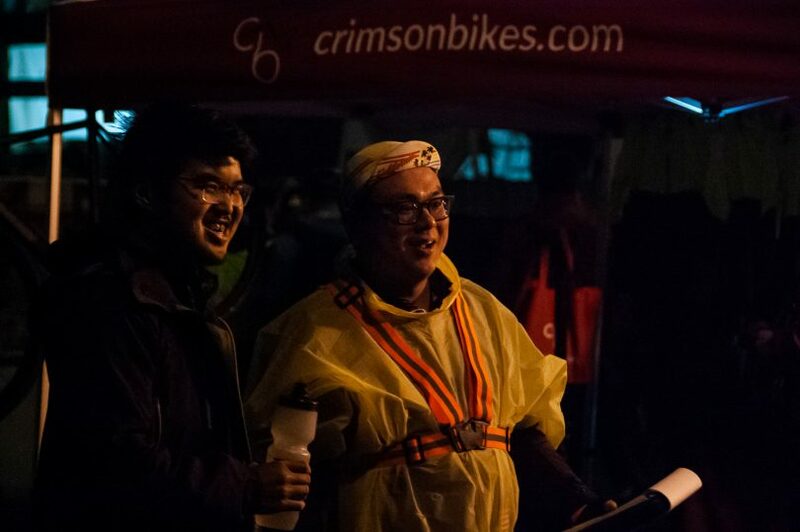 BOSTON – Greg Hum came up with the idea for a midnight bike ride along the Boston Marathon route while he was a sophomore at Boston University in 2008. 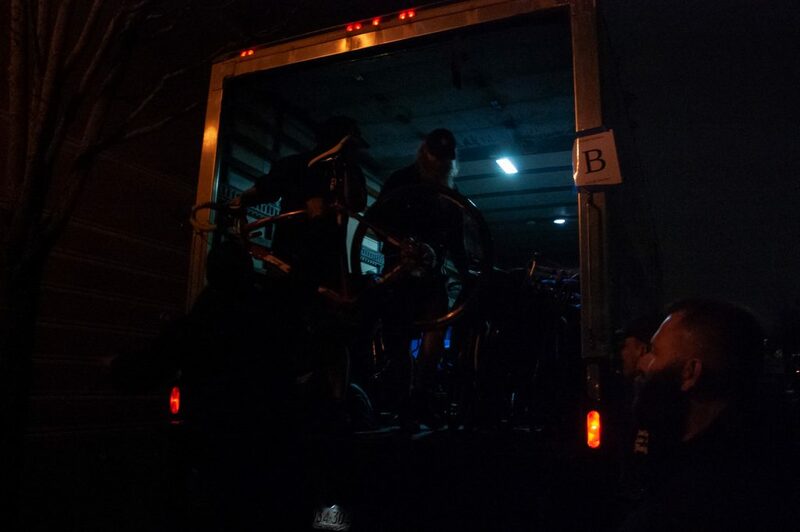 He proposed the ride to the others in his BU bike club after he overheard friends planning to do a nighttime run. “I had discovered night riding the previous summer,” Hum said. “Riding bikes at night is such a fun and wonderful experience when there are no cars out. It gives you a chance to explore the city in a safe and magical manner,” Hum said. It wasn’t hard to convince his friends to join him, he said. 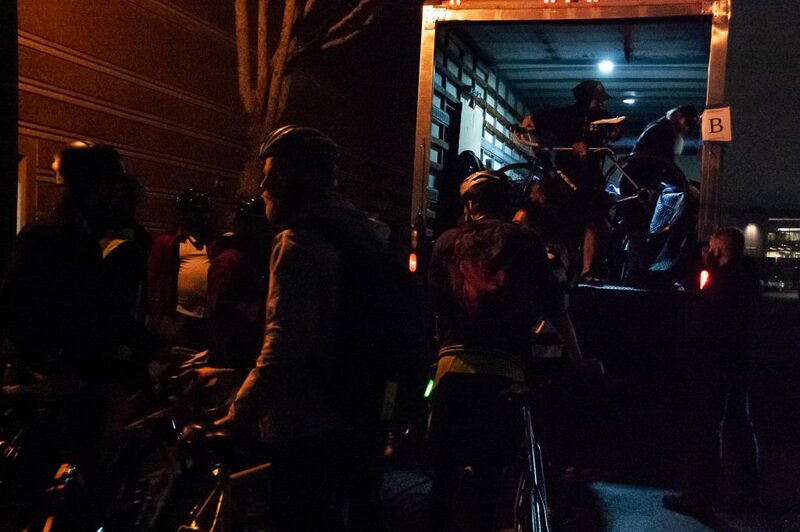 The midnight ride began as a Facebook event, and it spiraled out from there. Local bike communities heard about it and in that first year, 70 people showed up at South Station to ride the commuter rail out to Hopkinton. Within a few years, Hum joined forces with the Boston Society of Spontaneity, a local flash mob group best known for organizing a pants-free ride on the Boston MBTA. Through this partnership and access to the Society’s email list and marketing power, the ride numbers took off and peaking in 2017 when 2,700 riders joined in. Most participants arrive in Hopkinton on their own, coming out for a variety of reasons. Some are avid cyclists looking for an opportunity for a car-free course. Others have run the Boston Marathon in the past but opted for a different experience, like Jarrett Collins from Wellesley, Massachusetts, who joined the ride in 2014. Collins joined the ride the year after the Boston Marathon bombing when security concerns had changed forever. 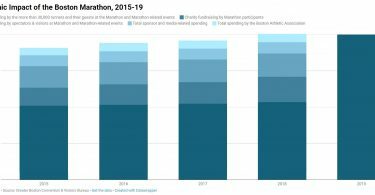 Hum had been asked that year to consider canceling his ride as the Marathon organizers closed the final stretch on Boylston Street. 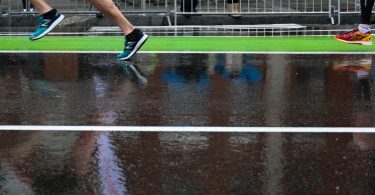 He compromised by diverting the route around the finish line as participants arrived in Boston in the wee hours of the night. 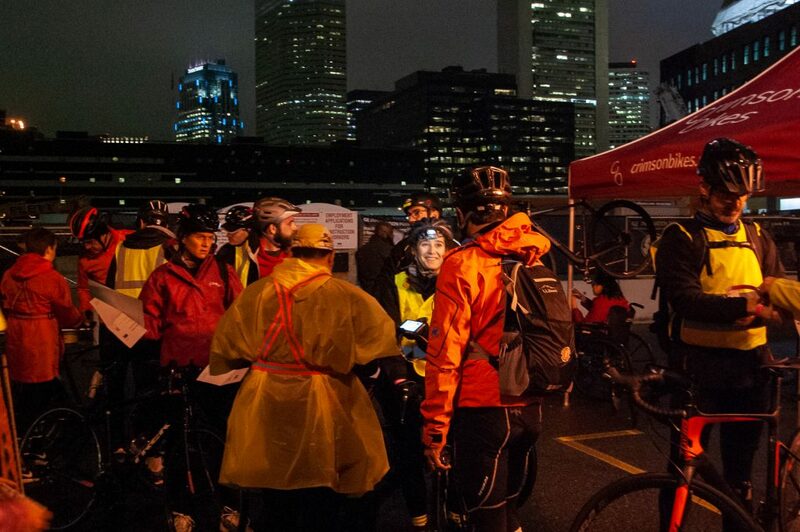 Hum was concerned there might be fewer riders this year after a frigid cold and wet ride in 2018, and as this year’s ride corresponds with the highly sensational season premiere of Game of Thrones. As with each of the 11 years of the ride, however, Hum has no way of predicting participation. He will know how many people participated by the morning as he assigned volunteers along the route to count riders as they pass by in the quiet of the night in a sea of blinking lights. 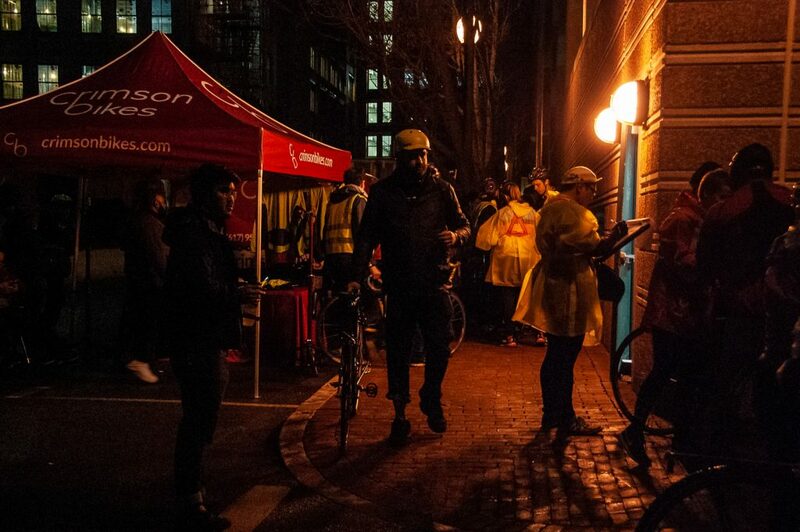 After all, the Boston Midnight Marathon Bike Ride was designed to be nothing more than an event just for the sake of fun.